KATHMANDU, Aug 29: The government will provide unemployment allowance to jobless people if the bill to ensure people’s right to employment is enacted by the parliament. The bill tabled by Minister for Labor, Employment and Social Security, Gokarna Bista, in parliament on Tuesday proposes providing a certain amount of allowance for subsistence to people who do not have any job. The bill defines ‘unemployed citizen’ as a person who has not been involved in any employment for at least 100 days in a given fiscal year or is not in any income-generating self-employment. However, only the people listed in Employment Service Center (ESC) will be entitled to such allowance. The bill envisages setting up such centers in each local unit. The centers, among others, will collect data of unemployed citizens, identify employment opportunities, notify employers about the availability of workers, and provide other services related to employment. 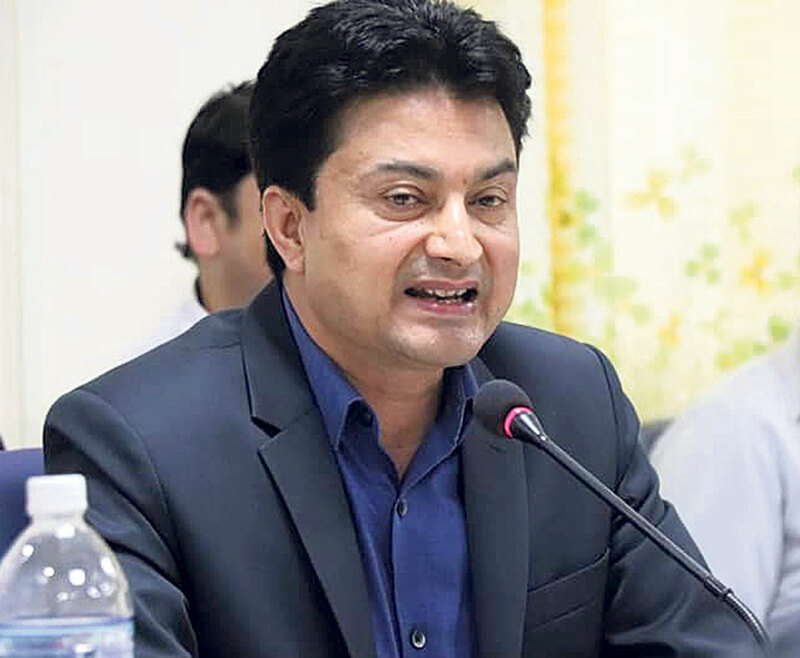 The new bill is aimed at ensuring people’s right to employment enshrined as fundamental rights of the citizen in the constitution, Bista said. “The government will provide at least 100 days of employment to jobless people,” he told the parliament while tabling the bill for deliberation. “If the government fails to ensure employment opportunity for at least 100 days, it will provide subsistence allowance by remaining under the limit of the government’s resources,” he added. If the government fails to provide employment to any citizen listed in ESC, it will provide subsistence allowance equal to 50 percent of the minimum wage of 100 days in a fiscal year. However, if any jobless person gets employment for less than 100 days, the government would provide allowance equal to 50 percent for the minimum wage for the remaining days. According to the bill, subsistence allowance will not be provided if any member of the same family is employed and the income of the family is higher than the floor set by the government. Likewise, if other family member of the unemployed youths is involved in income-generating activities or are plying their trade in foreign countries, such youths will also be ineligible for subsistence allowance. The government also intends to facilitate any unemployed citizen to get a job or enroll in government’s employment program, and make such unemployed youths work in any place mobilized by the ESC, according to the bill. Once the law is enacted, such employment programs will be implemented by the federal government, provincial government and local government as part of the state’s efforts to provide minimum employment for unemployed youths, the bill states. Those, who do not find any employment, will have to file an application at the ESC stating their skills, qualification and capacity. Each ESC will prepare a list of unemployed citizens eligible for the government’s subsistence allowance, according to the bill. The ESC can also help in matching employers with unemployed workers. Apart from keeping the record of the employers in its jurisdiction, the ESC can also be provided the demand of workers that any employer may want to fill out. The government has also launched a scheme for unemployed citizens to bring them into workforce or employment. Under the scheme entitled ‘Unemployed Support Program’, the government will provide information related to employment opportunities, offer employment and skill training, extend concessional loans through bank and financial institutions and create self-employment.